Before making a Website with WordPress must check out Best WordPress Themes 2018 Collection. No matter which type of Website you own but the following Themes may satisfy you. There are a lot of facts to take place on the best Theme list. Here are some things which make a Theme best. Standard Coding Structure is the foremost necessary option. Without perfect coding structure, a Theme is a waste of money. For example, If we need to run a script first we should put it on the header, not the footer. If we place this script on Footer, then it will work also but it’s not standard style. Less File Size is an important fact for better performance. If the Theme file has a small amount of script and the size is quite low then it will load faster and provide you best result. Better performance always loved by everyone. SEO Ready is okay for most of the Themes nowadays. As there is some great SEO Plugin which helps to maintain SEO. I have selected some trendy Design as WordPress Themes 2018. Take a look at the following WordPress Themes and choose the best for your business. There are different types of Theme for you, most of these Themes are suitable for your business Websites. If you searching for a Theme for Photography Website you can check this Photography Theme collection. Need free Best WordPress Themes? Check these freebie collection of WordPress Themes and choose some best for your business or Website. 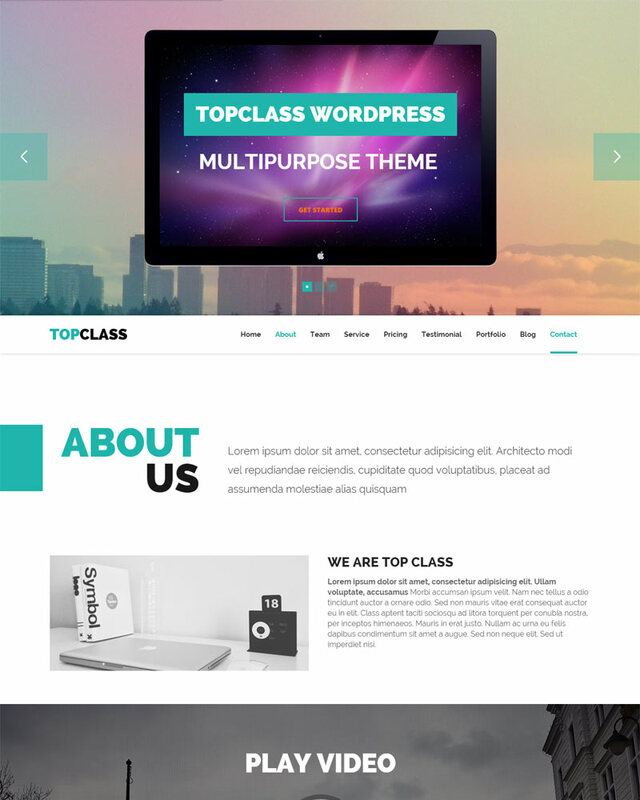 TopClass Theme suitable for any type of Business Website or Corporate Sites. Slider Revolution makes it easy to create an awesome slider within a few minutes. Clean and SEO optimized code help you to create a secure Website and can Rank better in Search Engine. Buy it for $44 and get lifetime supports + Updates. 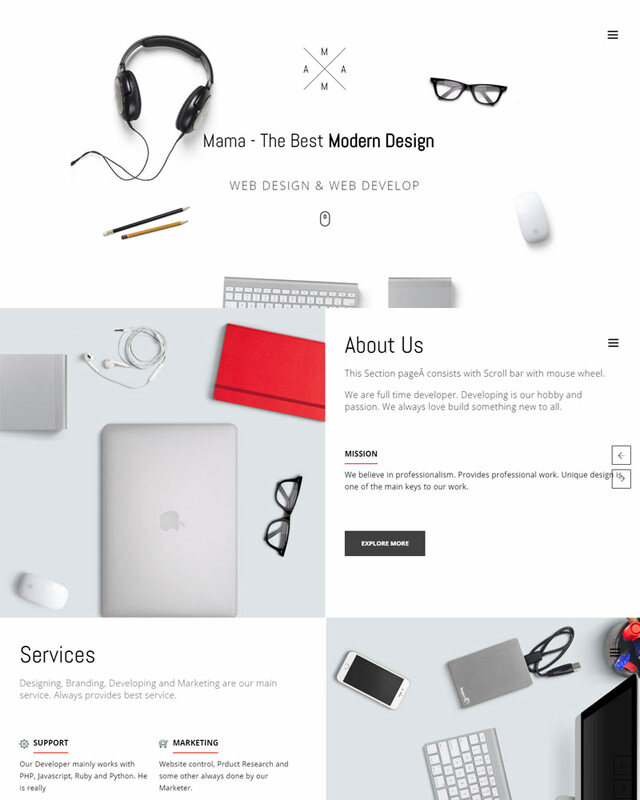 MAMA one of the most Flexible and Creative WordPress Theme. This Theme comes with a new trend of Design. I recommend this Theme for every creative Agency. Without checking the Demo, you can’t understand anything of this Theme function. Scrolling Slide effect is one of the main feature of this Theme. Voix a great personal Blogging WordPress Theme. It comes with powerful shortcode manager. Easy to customize and provide most of all necessary post format. Minimal and simple design make it perfect for traveller, food blogger, fashion blogger. Just look at this awesome design! If you are engaged into sports and want a site for your business, look closer to this theme. Black and red unity works effectively, especially the red call-to-action buttons. It features: sports calendar, commenting system, dropdown menu and many more. DO a creative Theme and suitable for any type of Website. This Theme developed with clean code and stunning Design. It’s a 100% Fully Responsive and pixel perfect WordPress Theme. WordPress live customizer helps you to customize this full theme and you can see what you changes. Page variations help you to design your pages. Two premium plugin included and you save total $53. Drag and Drop page builder added for you. 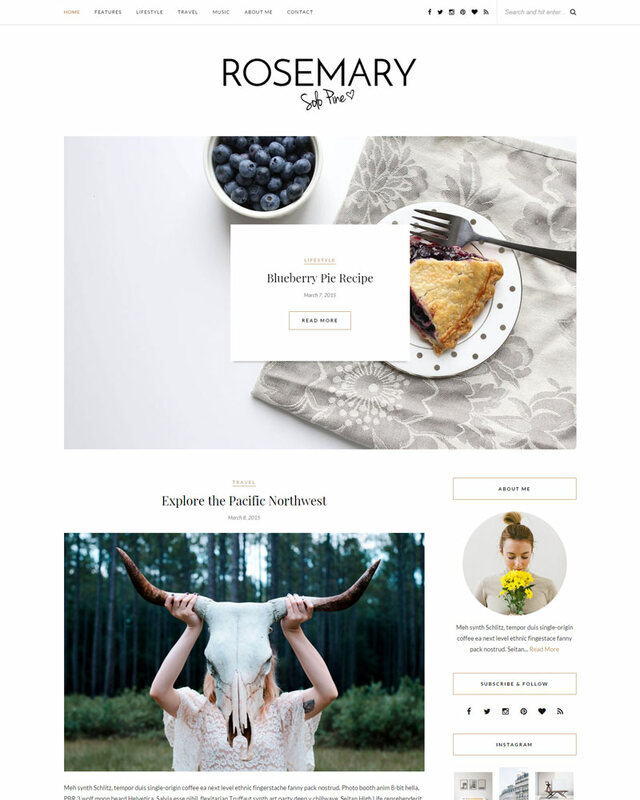 Rosemary is a super light and bright WordPress Blog Theme. 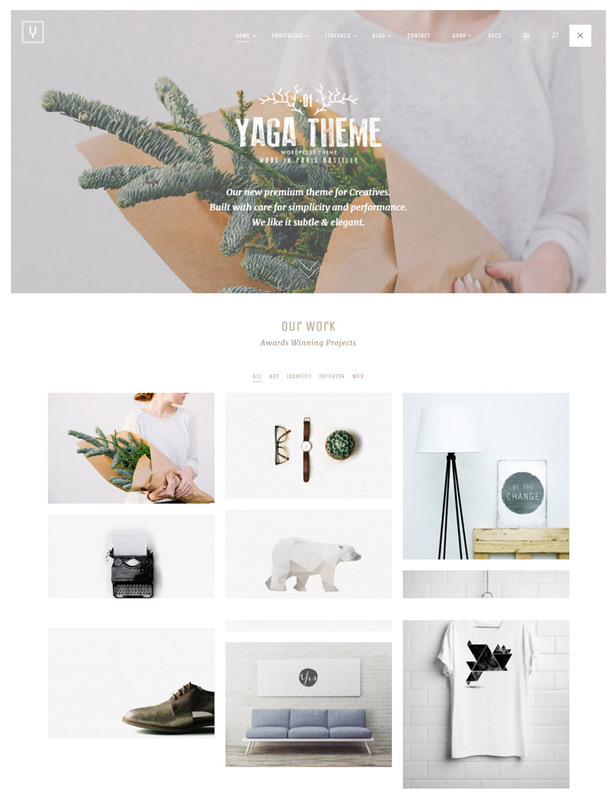 This Theme tailored to showcase your content with an effortlessly timeless style. The Instagram lover can easily showcase their Instagram photos + videos into full-width Instagram footer area. Rosemary’s design will increase your blogging quality and provides a standard look to your content. 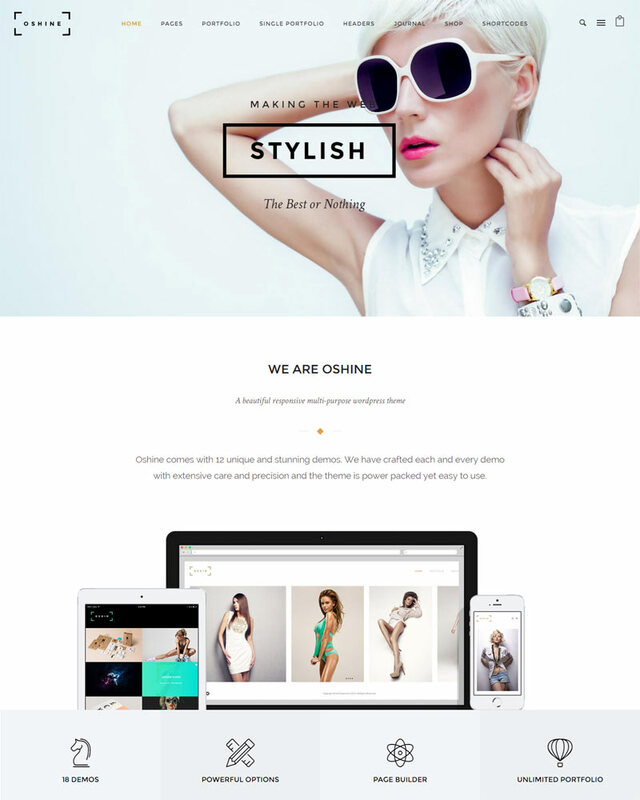 Oshine is one of the best multi-purpose WordPress Theme. This theme is super for anyone’s portfolio. There are 18 awesome unique demos for 18 different topics. 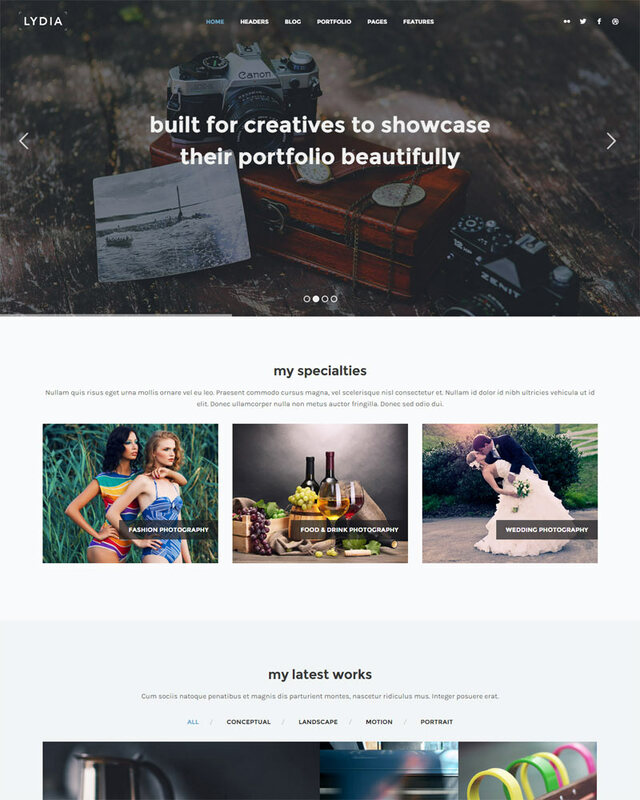 Many popular bloggers rated Oshine as a best Portfolio and Photography Theme. After seeing the demos, you can get a clear idea about how Oshine arrange your full website within a few hours. 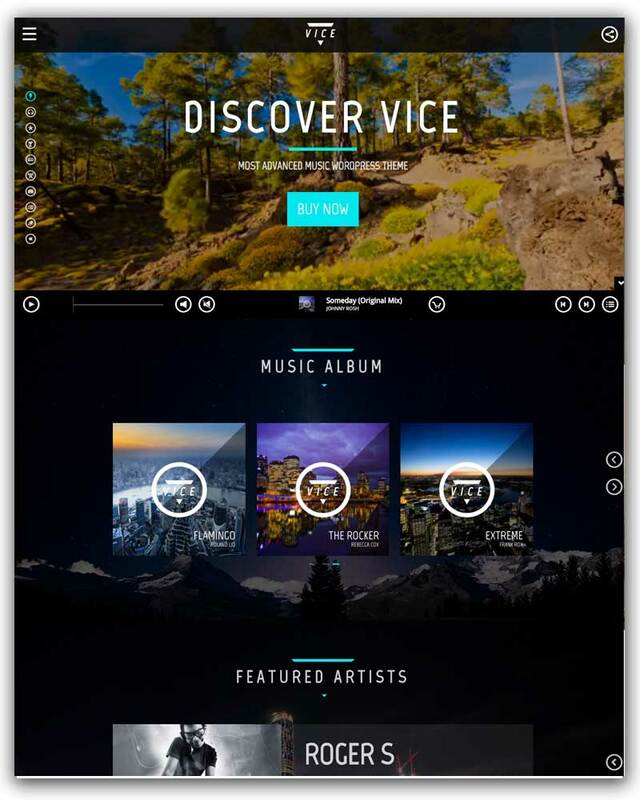 Profiles Theme suitable for creating a self-promotion Website. It helps you for showcasing yourself all over the World. This Theme can be used as a multi-page site or single page site as you need. It’s a fully Responsive WordPress Theme with 6 types of demos. A Responsive and Beginner friendly WordPress Theme. There are 14 multipage demos and 12 one page demos. You can easily import demo via one click install and make your Website within a few minutes. This is Retina Ready, SEO Optimized Theme. You can access 700+ Google Fonts and choose any one of them for your Website font. 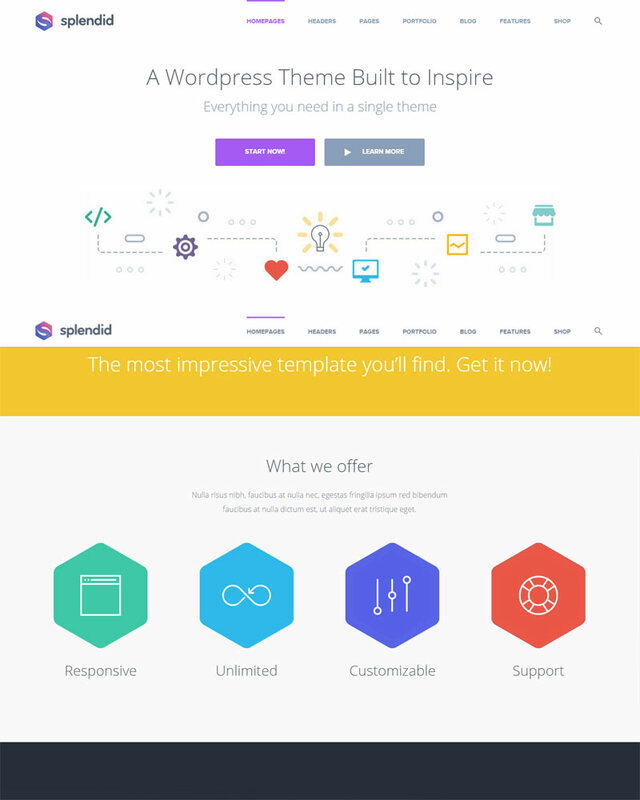 Splendid is one of the best Multi-Purpose WordPress Theme. It has more than 20+ Homepage Variations. Shortcodes and Modules help you to make your Website Pages colorful and flexible. There are 10 portfolio pages and 9 types of Blog Layout options. It has some Premium Plugin like Visual Composer and Slider Revolution. These plugins help you to customize your Website Pages and Slider easily. 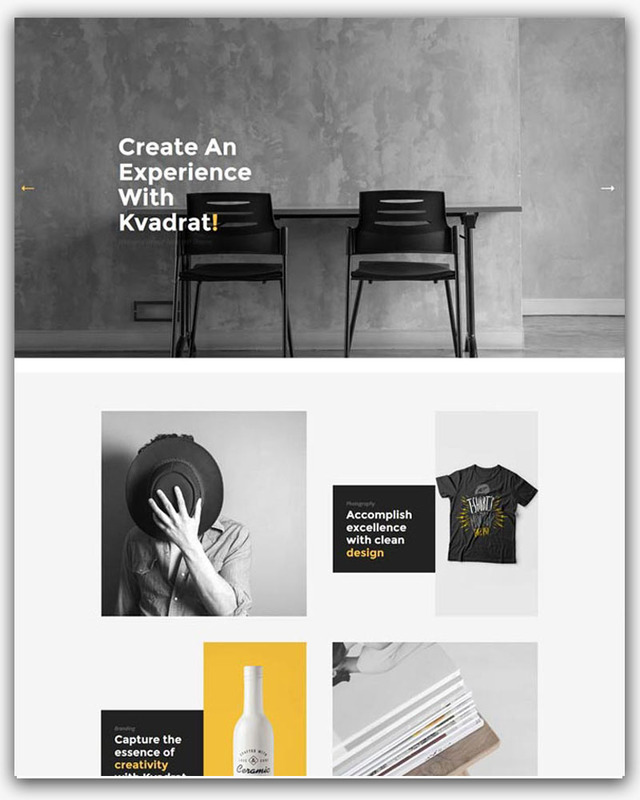 Lydia is a flat WordPress Theme with 100 Responsive looks. This is a clean and professional design for your business. This Theme is suitable for your Business Website, Portfolio Website, Blog or any other Purpose Websites. Lydia built with Twitter Bootstrap, Visual Composer, Slider Revolution. Create an awesome page within a few minutes with Drag and Drop Page builder. 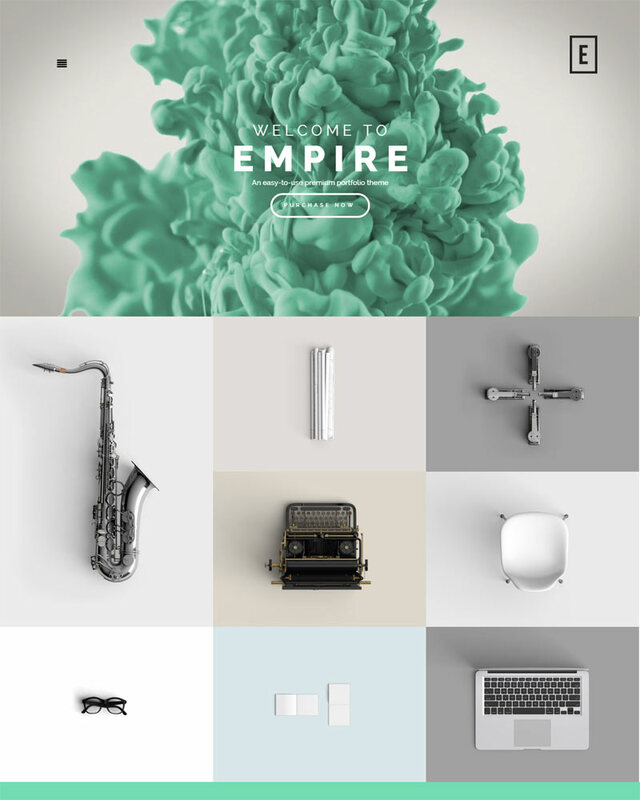 Empire is a Portfolio WordPress Theme suitable for Freelancers and Agencies. If you are a Graphic Designer, Illustrator, Photographer or any type of Creative people, you can choose Empire Theme for creating your Website with WordPress. Yaga a WooCommerce ready WordPress Theme suitable for creating your online store within a few seconds. Simple post types helps you to keep yourself update your Website. 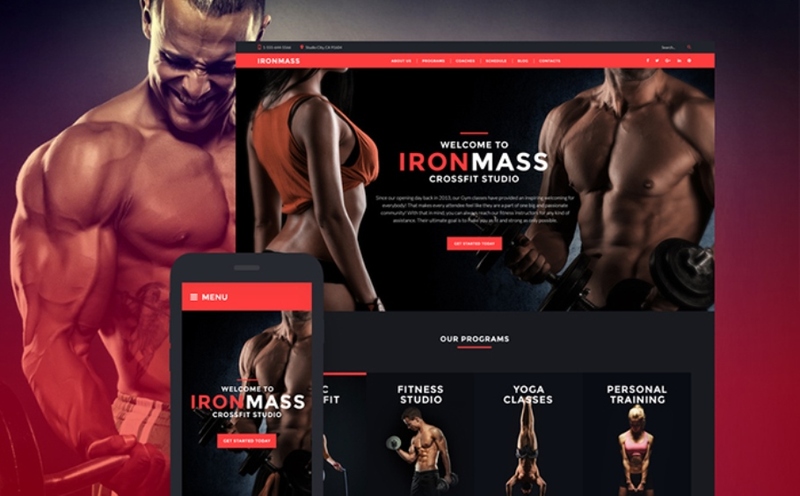 It has a page builder allows to compose original layouts and comes with 20+ fancy content elements. Selfie is a personal vCard or Resume WordPress Theme. 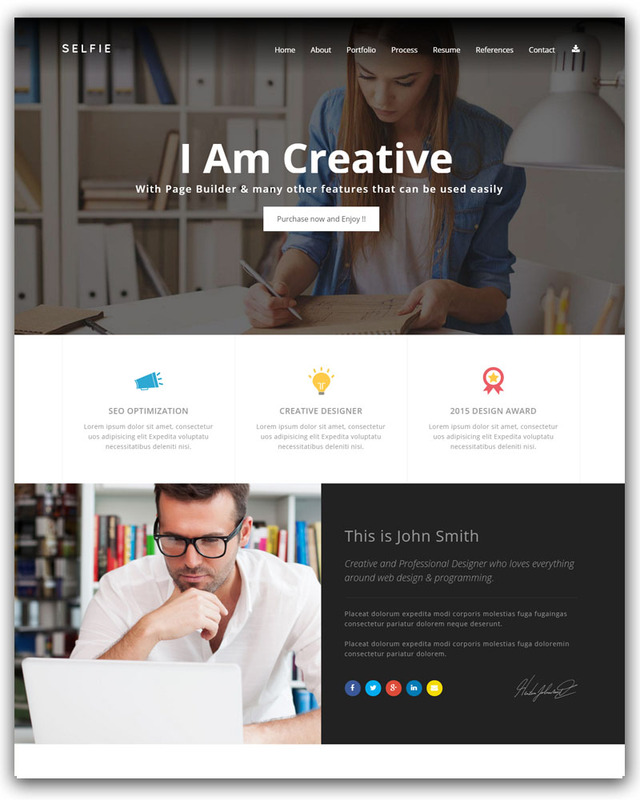 This Theme will fit for any Freelance Sites, Resume Sites or Portfolio Sites. 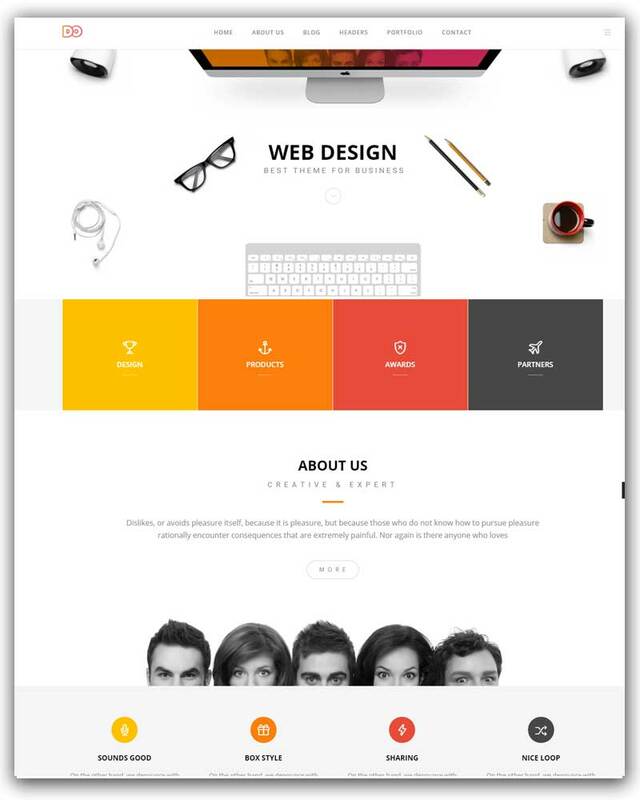 If you are working for creative Design or Development, this Theme is the winning choice for you. The visual composer added for drag and drop page builder. It’s a fully Responsive and Translation ready Theme. A powerful Admin Panel with one click demo installation. There are a lot of collection for important shortcode and Multiple customizable layouts. Kvadrat express the real creativity of it’s user. You can run your online shop also with this awesome WordPress Theme. DECA comes for Clean approach with a simple Design. 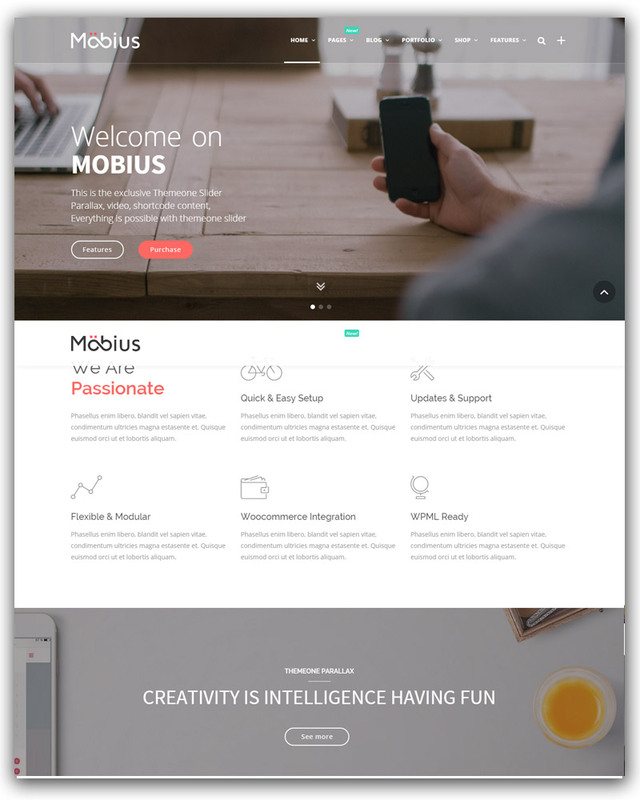 This Theme suitable for one page of multipage Websites. Visual Composer included for creating hand craft page. 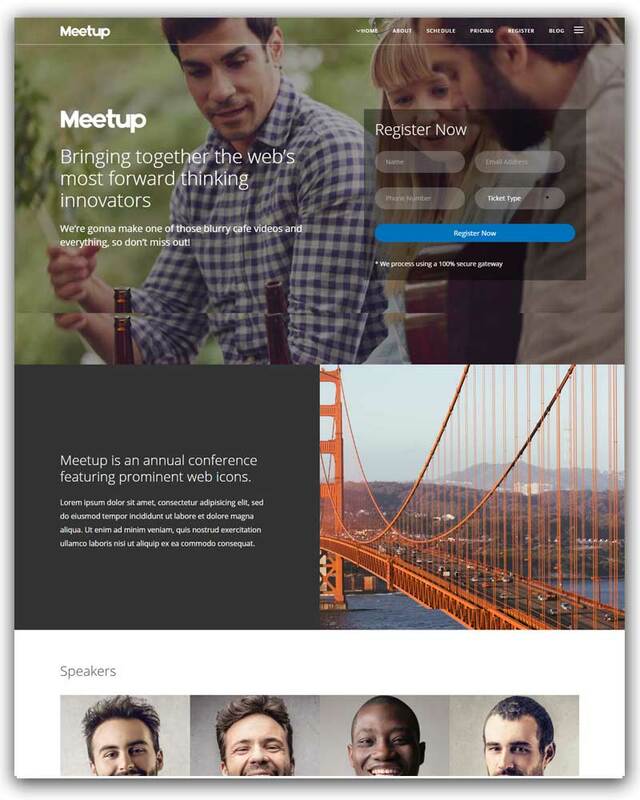 5+ Header and 10+ Main Homepage variation will help you to set up your Website easily. Parallax image and youtube video background. 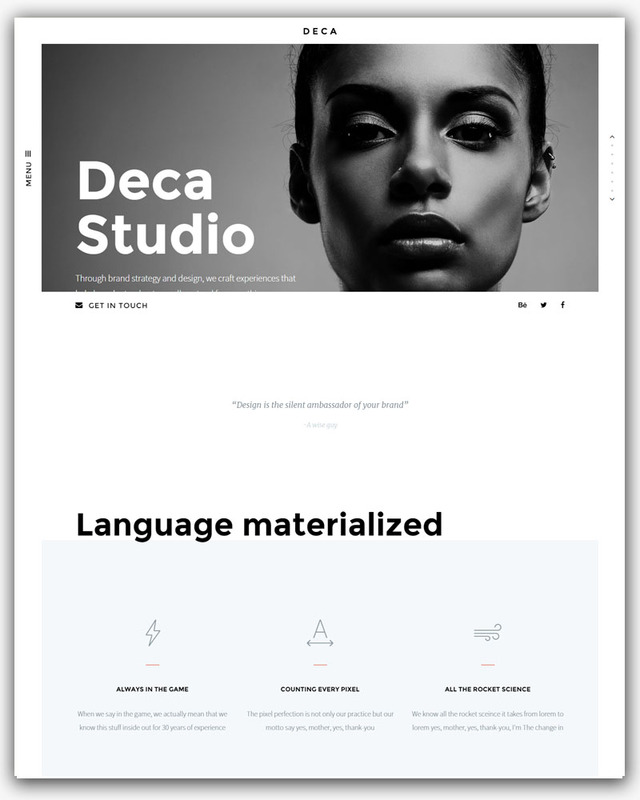 It’s a Portfolio Template for creatives & agencies including Graphic & Web Designers, Architects, Illustrators, Digital Agencies, Industrial Designers, Photography & 3D / Animation Artists. Kalium Creative WordPress Theme mainly created for showcasing your Portfolio and Blogging Purpose. The Drag and Drop content builder elements help you too much for designing your pages. 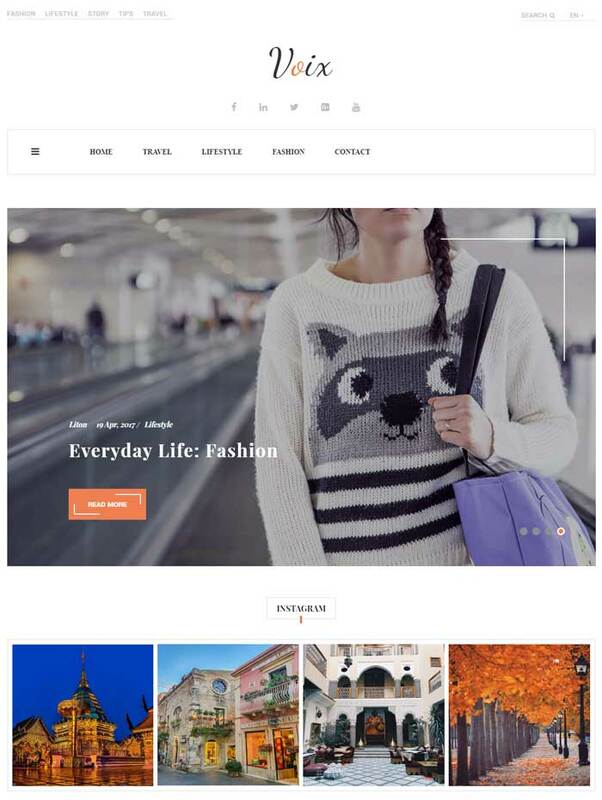 If you a Designer, Architect, Blogger, Freelancer, Photographer you can choose this Theme. One Click Installation and setup everything within a few seconds. This is the easiest and fastest way to design a Website. It’s a WPML Ready with language switcher Theme. You will get the PSD Files too. It’s SEO optimized and supports video backgrounds elements. Access 600+ Google Fonts and choose any one of them for your Website. 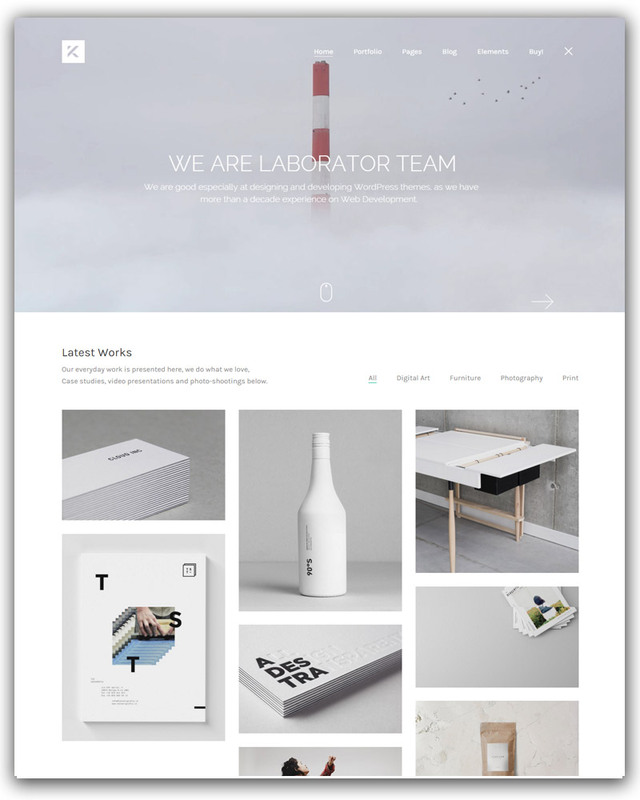 A Modern looking multipurpose and Creative WordPress Theme. Retina Ready and Fully Responsive make it stand out over the World. It comforts with any types of Website like business, Corporate, E-shops, Agencies, Creative Portfolio, Blog and Photograph Sites. A super flexible and comes with some awesome features. It’s perfect for showcasing and selling your work and products. It’s built by Redux Framework and offers tons of flexible settings. 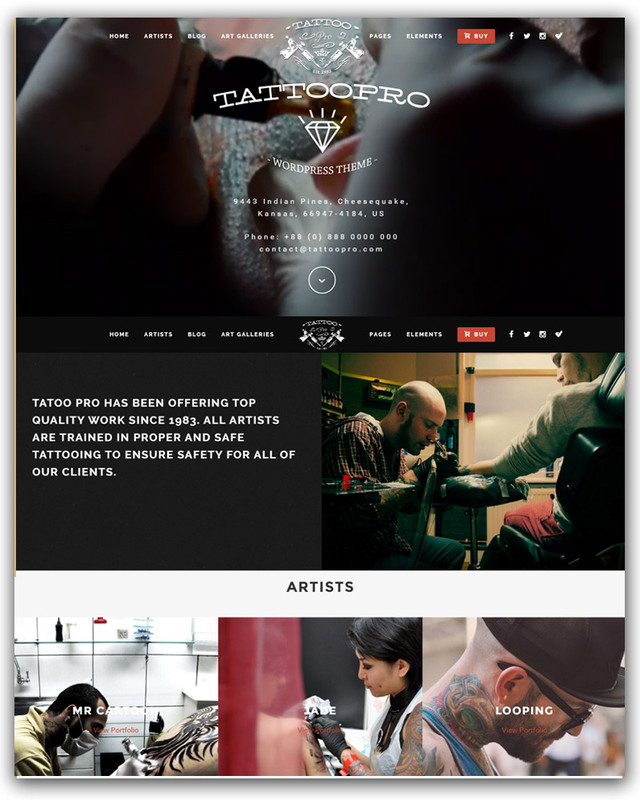 Tattoo Pro is perfect for you, if you like to create a Website for your Tattoo Shop. This is suitable for any WordPress site and allows you to create a neat Website within a short time. It provides all necessary features for showcasing your Work. 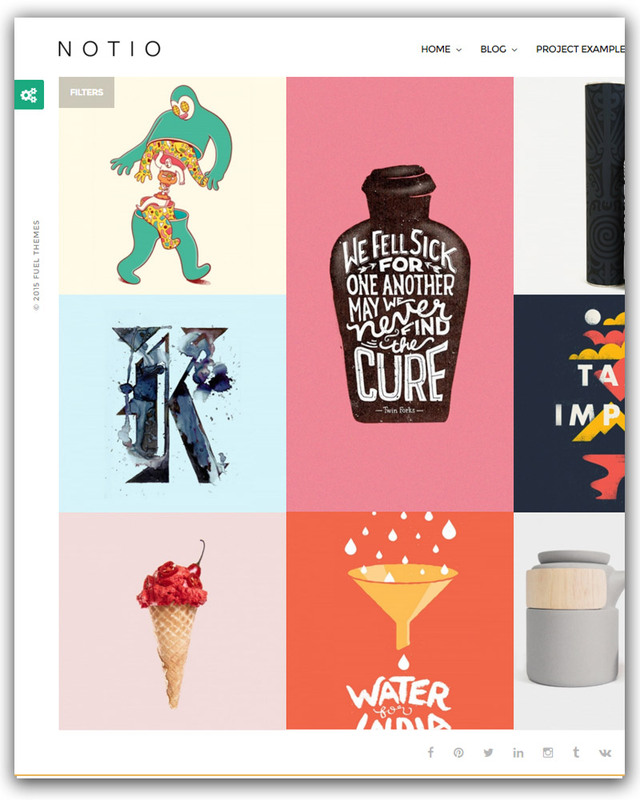 There are five types of blog layouts available with multiple galleries and sliders. You can easily showcase your photos or videos via slider and galleries. Chicago is a complete Restaurant WordPress Theme. 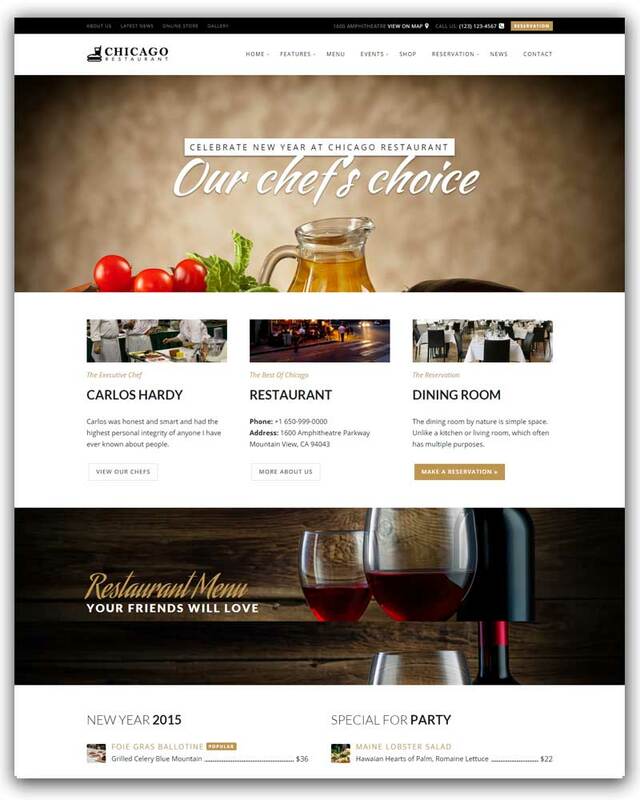 This is not only suitable for Restaurant but also for Bar, Bistro and Cafe Websites. After all, this is a corporate type Website Template and you can easily showcase your portfolio. You will get One Click Theme Update and One Click Demo Import. This two option is very necessary for someone to create a Website and update a Website Theme. Visual Composer Page builder and Slider Revolution available with this Theme. This is a WordPress 4.3+ Ready and Tested on 4.4+ too. Active this Theme and click in one click install. Within a few second your site will automatically arrange like the demo. A Fully Localized and Translation Ready Theme. The Flat and Responsive Design make it more user-friendly. Retina Ready Graphics and Icons with Parallax Effect. SEO Friendly design will help you to rank your Website easily in Google. Here you will find more than 600+ Google Fonts and can use any one of them for your Website. FAQ Post type available and Cross-browser supported. Music Band, Dj and Radio Station need a Website. If you are going to plan for creating a Website for your Band you can choose This Theme. It will help you to create a Website within an hour. This Theme provides you music player with playlist. You can easily create the album to the player and provides an autoplay option. Create unlimited Radio Station Channels. It’s a retina ready Theme and support high-resolution images. You can include the mp3 file from SoundCloud or mixcloud. Candidate is the first choice for nonprofit organization Website. 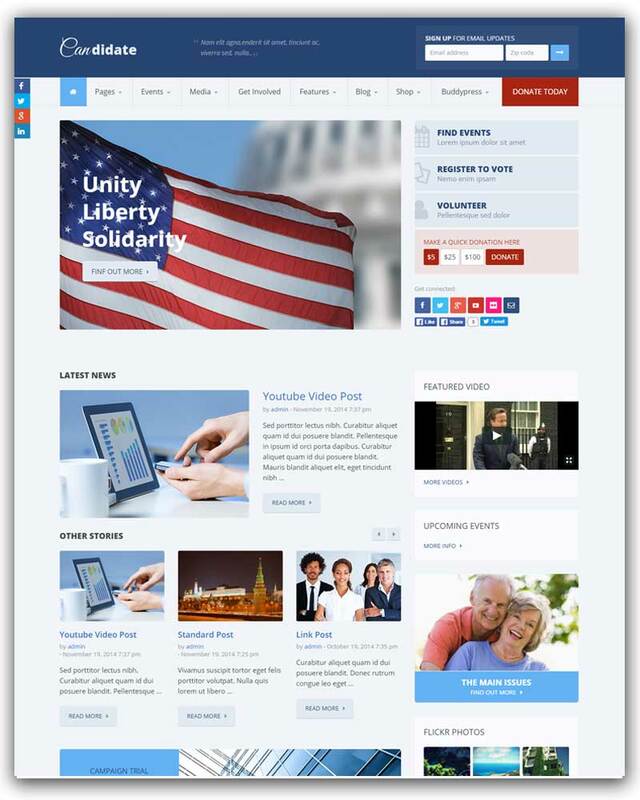 This is super perfect for Charity, Political Campaign, and other nonprofit Websites. This Theme includes most of all necessary tools like Visual Composer, Revolution Slider, Powerful Options Panel. Visual Composer helps us to design a page and Slider Revolution helps to create an awesome slider with effects. The Options panel is the mother of a Theme for them who don’t know coding. You can customize everything with this options panel. You will get an option named Quick Sample Data Install. This option arranges your Website like the demo site within a few minutes. 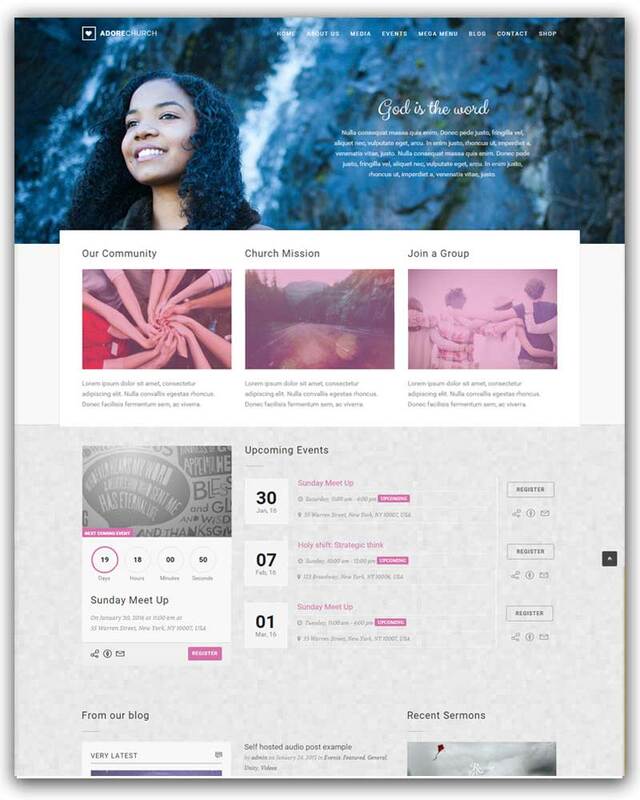 Adore Church is mainly Design and Developed for Church and Charity Website. This is perfect for any type of Non-Profit Sites. It provides some necessary plugin for Events manager, Sermons Manager and it supports Woocommerce Shop. There is a built-in mega menu style. It’s a Responsive Website Theme and events ticket booking layout available. There are two types of layout (Full width and Box). This Theme designed with Bootstrap 3.2 and Developed with hand craft clean code for WordPress. 150 line icon web font, multiple slider effects, Google Maps, SEO optimized and many more features. A Theme is the base of a Website. If you fail to select the best Themes for your business, you can not make better profit. I have listed this Themes after research with their features and look. You can select any one of these theme for your personal or commercial use.